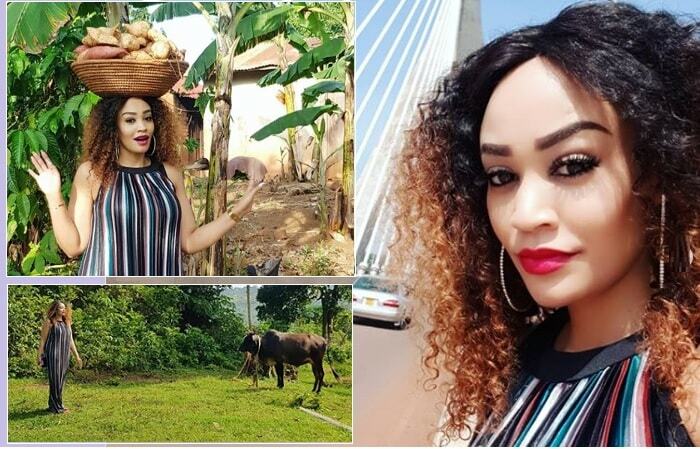 The Uganda Tourism Ambassador, Zari Hassan, who is in the country for a tourism campaign that kicks off today was on Sunday visiting her father in the village and while on her way, she stopped by the Source of the Nile Bridge which was commissioned on October 17, 2018 by President Museveni. Diamond Platnumz baby mama was in the company of her sisters, Zahra and Zueleha. In her usual style, the Brooklyn College CEO took some pics of the new Jinja bridge as part of her #TulambuleNeZari campaign. The three sisters hit the road to proceed with their journey to the village that is located along the Jinja Malaba stretch. 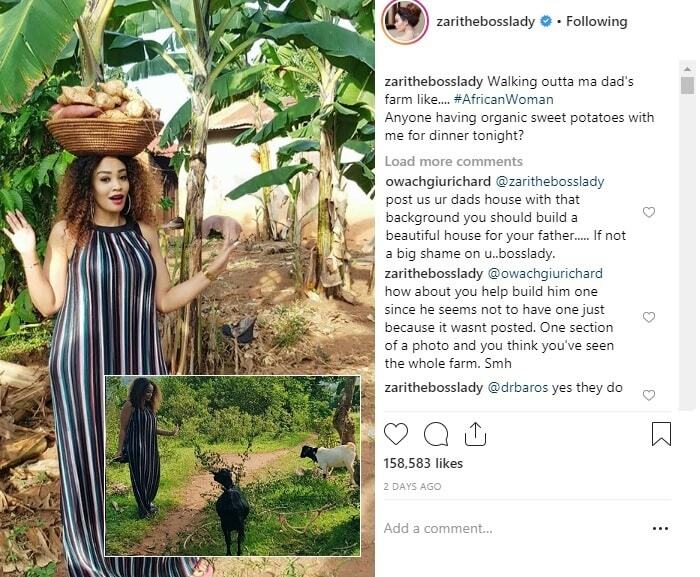 Clad in a long striped sleeveless outfit and pink rubber slippers, Zari went on to tour the farm while her sisters were on camera grabbing the moments. Anyone having organic sweet potatoes with me for dinner tonight?" "Told my dad, he should let me take over this place, he replied by saying he doesn't think I'd trade my city life for a farm." That pic soon got her problems with the background houses which some of the commenters were concluding as her dad's house which needs a facelift. "That sketchy structure doesn't look like a house, build one," One commented. "Don't make your father live in a place unfit for even wild animals, while you're living in a paradise," Another added. "Post us your dad's house with that background you should build a beautiful house for your father...if not a big shame on your you, Bosslady"
"@owachgiurichard how about you help build him one since he seems not to have one just because it wasn't posted. One section of a photo and you think you've seen the whole farm. Smh." 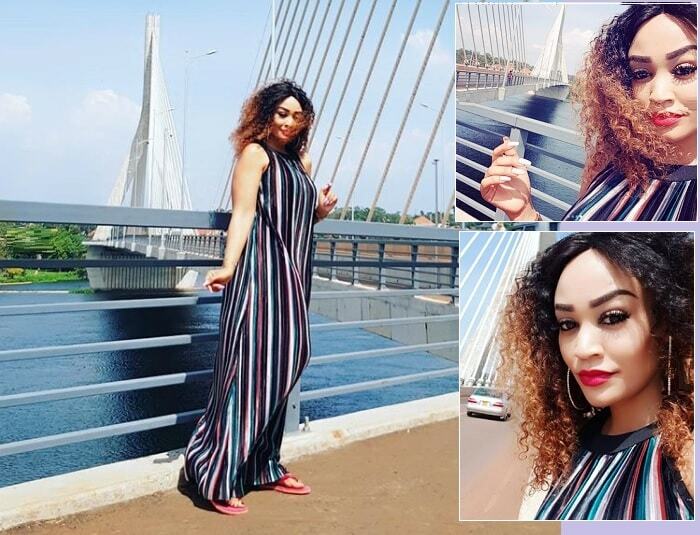 While heading to their village located in the east of the country, Zari stopped by the new Source of the Nile Jinja Bridge to slay a bit..